Second placed Bardford Bulls needed a win to keep the pressure on the league leading York City Knights as they travelled to Vestacare Stadium to take on an Oldham side currently sitting in fifth place in the table. 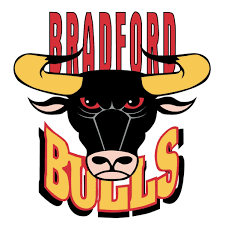 The likelihood was that the Bulls would need to win the play-offs to gain promotion to the Championship and it was important that they got the win today to boost their confidence going into the end of season competition. Oldham knew that they needed the win to enhance their play-off chances, the stage was set for a cracker.